Join us for a reading group discussion of Curious wine by Katherine V. Forrest!The intimacy of a cabin at Lake Tahoe provides the combustible circumstances that bring Diana Holland and Lane Christianson together in this passionate novel of first discovery. Candid in its eroticism, intensely romantic, remarkably beautiful, Curious wine is a love story that will remain in your memory. In this long-awaited new installment of the legendary Kate Delafield mystery series, Kate is forced to confront her most formidable opponent: herself. Five months into mandated retirement from LAPD, her long term on-again off-again relationship with Aimee Grant off again, hopelessly dependent on the only substance that can drown her pain over Aimee and the illness of her best friend, lost without her police career, beset by terrifying dreams, Kate Delafield is in a world of trouble. Katherine V. Forrest is the groundbreaking author of Curious Wine, the Kate Delafield mystery series and the Daughters science-fiction series. She's also known as a prolific editor with anthology and non-fiction credits in her own name as well as the editor of hundreds of novels. Dozens of lesbian writers count her among their mentors. 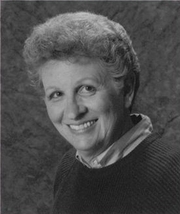 Selected as the 2009 recipient of the Publishing Triangle's Bill Whitehead Lifetime Achievement award, winner of three Lambda Literary and the GCLS 2009 Trailblazer Award, she widely credited as a founding mother of lesbian fiction writing. Katherine lives with her partner Jo in the Southern California desert. Every fourth Thursday, except during the Holidays when we need to “slide”. Come join us. New members welcome! Katherine V. Forrest , Lesbian Pulp Fiction: The Sexually Intrepid World of Lesbian Paperback Novels 1950-1965. Katherine V. Forrest , Curious Wine. VB Lesbian Book Group meets on the first Sunday of every month at 2:00 p.m. in the Readings Gallery. Everyone is welcome and may feel free to bring a brown bag lunch. Katherine V. Forrest is currently considered a "single author." If one or more works are by a distinct, homonymous authors, go ahead and split the author. Katherine V. Forrest is composed of 6 names. You can examine and separate out names.